In all my years, I can't remember a week quite like the one of June 15. That was when the accredited Columbia Land Trust helped facilitate the conservation of 7,800 acres of working forestland south of Mount St. Helens, realizing a vision more than a decade in the making, and conserved 3,200 acres in Klickitat Canyon, southeast of Mount Adams, an area of deep cultural and ecological significance. The rugged forests and wild river here represent some of the most vital wildlife habitat we've ever conserved. Eleven thousand acres in one week. At Mount St. Helens, this fourth and final phase culminates a 20,000-acre conservation plan based on an unlikely partnership. 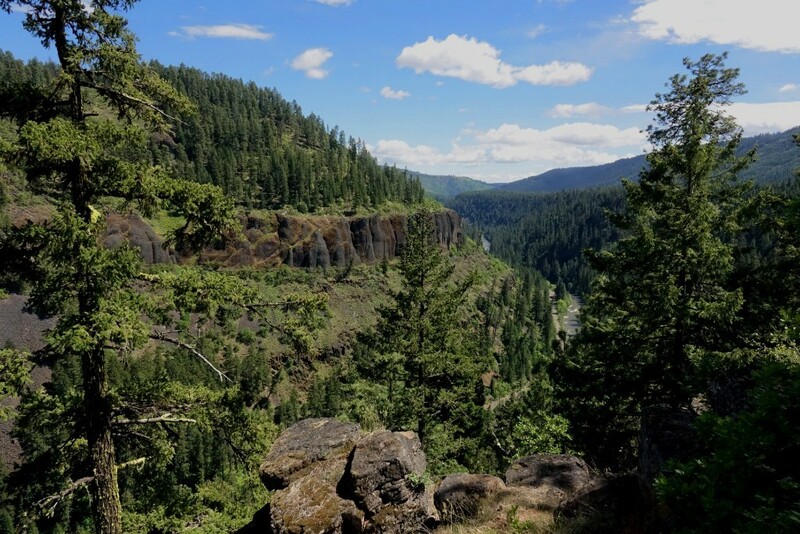 At Klickitat Canyon, this is the second of three phases toward a 10,000-acre goal. It is also the single largest fee-simple land acquisition (meaning we own it fully) in the land trust's history. These landmark successes represent a shift in the land rrust's approach toward bold, landscape-scale conservation. We are living into the promise of our 25-year conservation agenda. The scale of these projects can feel daunting, but at a time when nature in the Northwest is facing unprecedented threats, it's the scale of conservation we need. With success like this, we're reminded that the countless conversations, the tireless research and the challenges are all worth it because the results endure forever. I am awed by the magnitude of these accomplishments, and I'm humbled by the land trust's supporters, who by taking action through donating, volunteering or sharing their support for nature, are helping to build a thriving future for the people and the wildlife of the Northwest. Glenn Lamb is executive director of Columbia Land Trust.